The other day my mate Russ asked how to make a lid for a box he was building that was curved on top. Since he is using Aspire it would be a simple matter of modeling the lid as a 3d item and cut it out but what if he was using VCarve Pro instead? You can't model in 3d or can you? Well no you can't, but there is a work around that work for both aspire and VCarve Pro that people forget about. I'm talking about Moulding toolpaths. 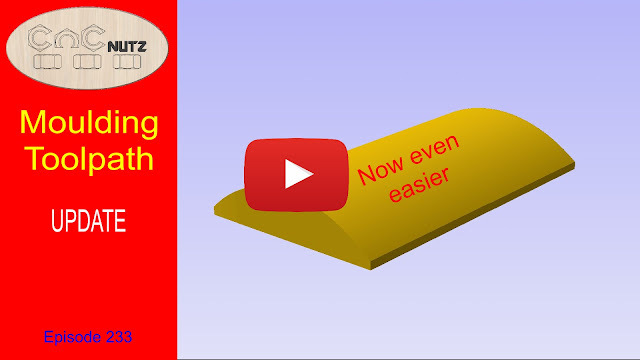 Intruduced with the upgrade of version 8.5 software the moulding toolpath allows you to make 3D like cuts withouth having to create a model. It only works with basic shapes but used properly it is very effective. In this case it is quick and simple to do. You just need to understand what you are trying to do. Are you missing out on a free update? If you are using Vectric software check out the update page and make sure you are running the lastest version of software that you are entitled too. If you are using version 8 VCarve Pro then you can update it to version 8.517 for free and not only get any software fixes that may be included but also on the case of version 8 you also get moulding toolpaths. If your not sure what tthe difference betqween an update and and upgrade it then have a look here. I'm surprised by the number of people who don't take advantage of the free updates that are available and so miss out on new features. Are people interested in this style of tutorial video? Let me know. Quite often I am asked to help people and I have taken to making short personalized videos like this one to show how to do something. I usually don't make a file and sent it in the hope that people go away but would rather show how I did something and have them follow along and do it themself. It's the old saying. Give a man a fish and he will feed his family for a day. Teach a man to fish and he will forever smell funny and probably never go home again. 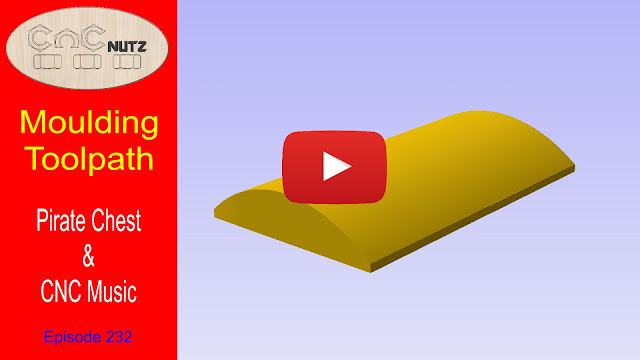 Thanks to you guys for your suggestions on how I could improve my making of the curve and using the moulding toolpath. I have created an update video that covers the improvement.